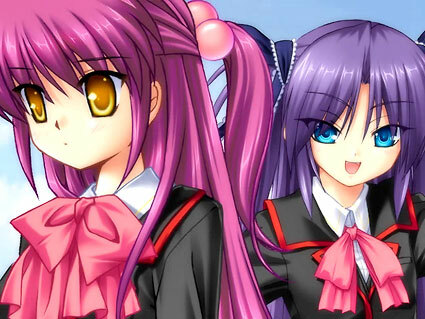 KEY Games Update: Little Busters EX & Rewrite | Fruit for Thought! Rewrite is currently at 5% progress. Little Busters EX will be available at HimeyaShop 25th July. – All they can reveal at this point about the new minigame is that it’s related to how Saya is a spy that’s after the school’s secret treasure and there’s something underground under the school. – Saya is a spy and moves alone a lot and basically only interacts with the main character. Tennen boke tsundere. – Text is 1.4 times as much as the original and voice data has increased by a lot, hence the need for 2 DVDs. – 10 new tracks for the music. – Some characters have new scenarios, especially Kudo and Haruka. – All the new heroines have their own endings. – Kanata’s scenario will come after the end of Haruka’s scenario so her attitude will be very different. – Little Busters EX has been worked on since September last year. – Schedule has been really tight, especially Na-Ga who had to work on both the new character and a sub character that became a main character. – No plans for a console port of the game, because the mini game will be hard to do on the PS2. – The guy that was originally supposed to write the scenario is really packed right now so Maeda started writing again. – They’ve got a lot of outside help this time, especially with the mini games. – There will be ways for people that have already played the original to only play the newly added parts immediately. – They’ve put in effort on the H scenes, up to three H scenes for some characters. – H scenes are not written by Maeda but by Shirokiri, Maeda tried his hand with H scenes before in Tomoyo After but it didn’t work out at all. Not sure to be honest, I think the group that did ONE reformed as KEY, with most of its main members intact. Guess it’s been 10 years already since then :O.